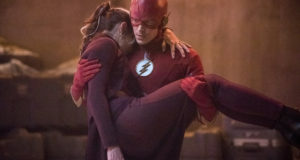 Wentworth Miller and Arrow’s Katie Cassidy guest star in the April 24 episode of The Flash and today, The CW has released some promo pics! 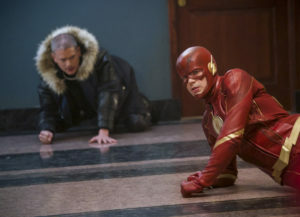 WENTWORTH MILLER RETURNS AS CITIZEN COLD — When Barry (Grant Gustin) needs help transporting a dangerous meta, he calls on a new friend for help — Leo Snart AKA Citizen Cold (guest star Wentworth Miller). Meanwhile, Cisco (Carlos Valdes) becomes suspicious of Harry (Tom Cavanagh). Rachel Talalay directed the episode written by Jeff Hersh & Joshua V. Gilbert (#419). Original airdate 4/24/2018. UPDATE: It appears that Katie Cassidy’s character in this episode might actually be the Black Siren of Earth-X! 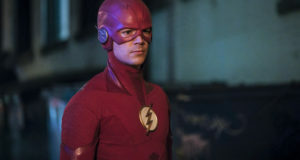 Previous: The Flash “Fury Rogue” Trailer: Feeling Cold?